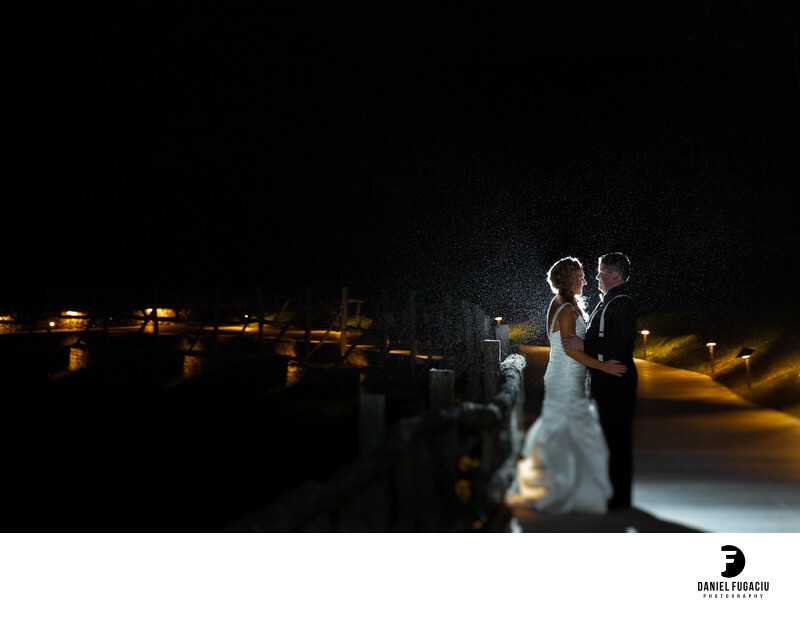 Night lights by the lake with bride and groom staring at each other. Location: 1 Riverview Pl Easton, PA 18040. Keywords: Kristi and Marc (3), Riverview (3).